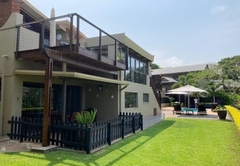 Billfish Apartments is a highly recommended property providing self catering in Ballito for tourists visiting the Dolphin Coast region. 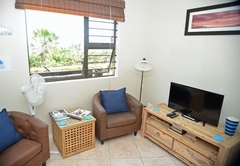 Billfish Apartments offers stylish self catering accommodation in Ballito, in three lovely units. 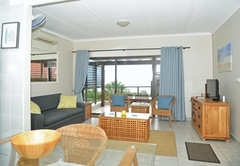 From here you are close to the beach, fabulous restaurants and the main shopping centre. 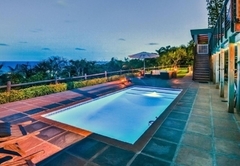 This is an ideal spot for a romantic getaway or for business travellers looking for a tranquil place to stay while still being close to necessary amenities. 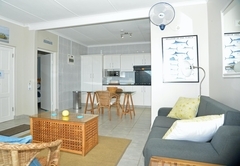 Billfish Apartments offer accommodation in three apartments each with its own entrance, DStv and own private braai area. 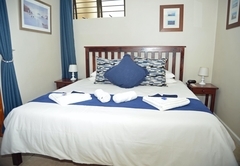 Swordfish Apartment is the smallest of the three apartments and has a king size bed and an en-suite bathroom with a shower. 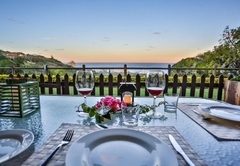 There is a lovely outdoor space with a day bed, a dining area and great views. 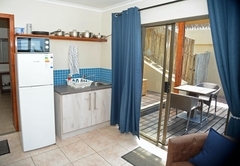 The apartment has a comfortable lounge and a compact, yet fully equipped kitchen area. 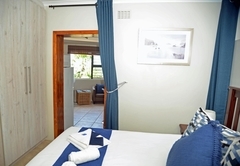 This lovely apartment has a king size bed and an en-suite bathroom with a bath. 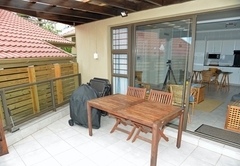 There is a gorgeous sundeck where you can enjoy great views, a Skottel and a Weber braai. 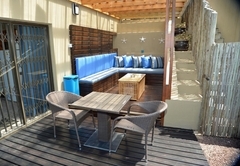 Inside is a comfy lounge with a sofa, two chairs and a fully equipped kitchen. 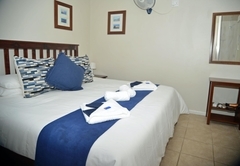 This large apartment has a king size bed that can be converted into two single beds if preferred. There is an en-suite bathroom with a bath and a shower. 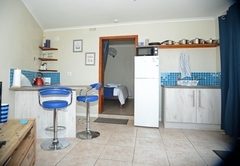 The lounge has lovely sea views and the kitchen is well equipped. 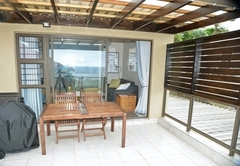 Outside is a shaded veranda where you can enjoy magnificent views and dine al fresco. There is a swimming pool on site available for your use and secure off street parking. No dogs or children are allowed. 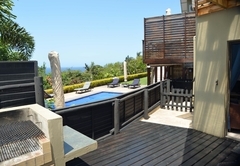 The accommodation is at the top of a hill, and therefore there are steps to each of the apartments. 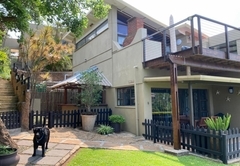 Parking in the yard is limited to one vehicle per unit and all additional vehicles shall have to be parked off premises. All cars are parked at owner’s risk. The smallest of the three apartments. 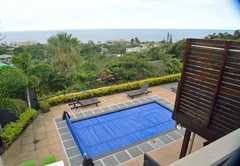 This apartment has an extraordinary outside lounging; space which includes a large day bed on which to relax after a morning spent surfing or enjoying many of the other activities that are in the local area. 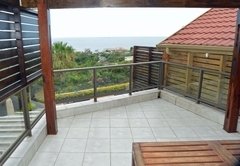 This stunning apartment has a wonderful sundeck from which to enjoy the outstanding views. 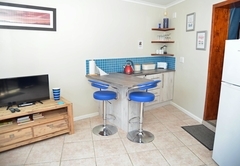 The spacious kitchen has everything that you require, and there is a skottel and Weber braai on the sun deck. 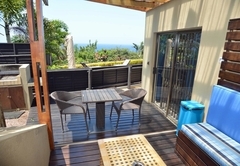 We had the pleasure of staying at Billfish last month and will never stay anywhere else in Ballito. 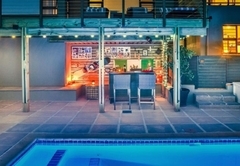 Chris and Clare are the perfect hosts, both helpful and genuine and will go out of their way to make your stay perfect. We went as guests and left as friends. 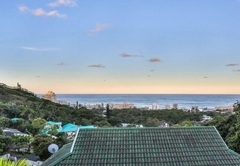 Billfish Apartments offers good views to the ocean. 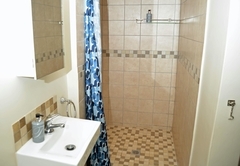 The apartment itself was very clean and well maintained with good security. The customer service was excellent, Chris and Clare will carter for your needs 24/7. Response timeBillfish Apartments typically responds to requests in 5-10 minutes. Child policyThe apartment is available strictly for those over the age of 21.